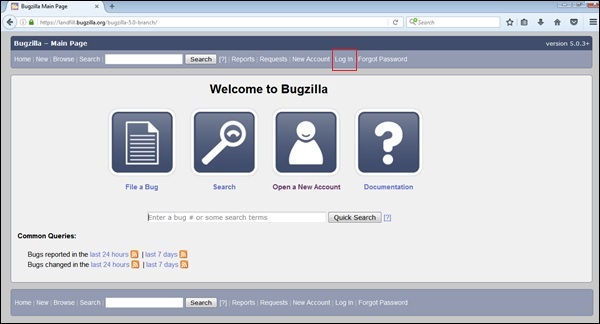 To login into Bugzilla, we have to follow the steps given below. 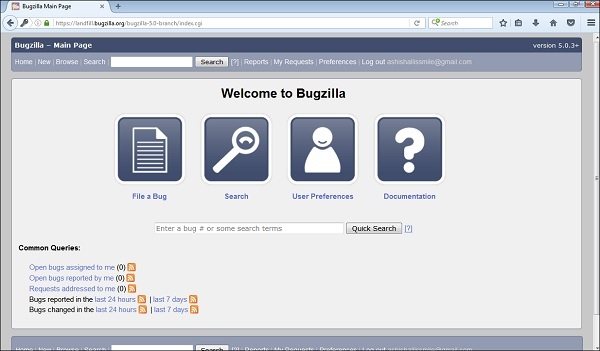 Step 1 − Click on the Log In link on the header of the homepage. 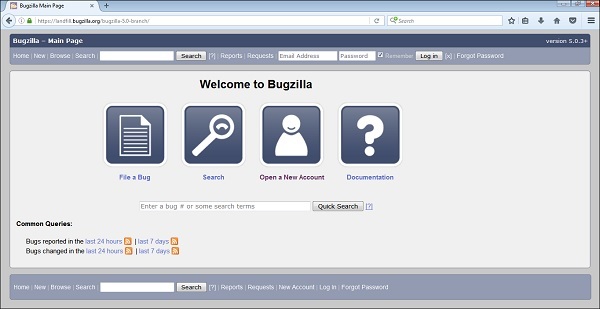 Step 3 − The user will be logged in successfully; the users can see their user id in the header section. 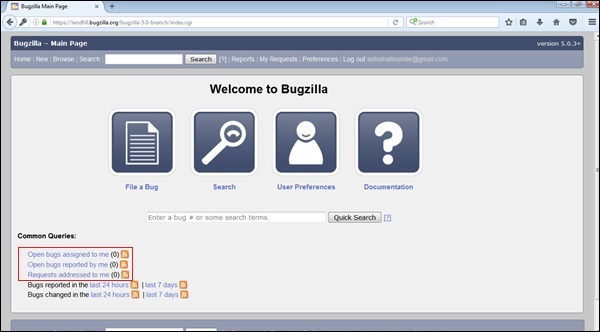 Step 4 − The user can see open bugs assigned to him, reported by him and requests addressed to him at the left bottom section.